Hemie and I have been hittin’ the circuit lately: going to shows the last 3 Sundays in a row! 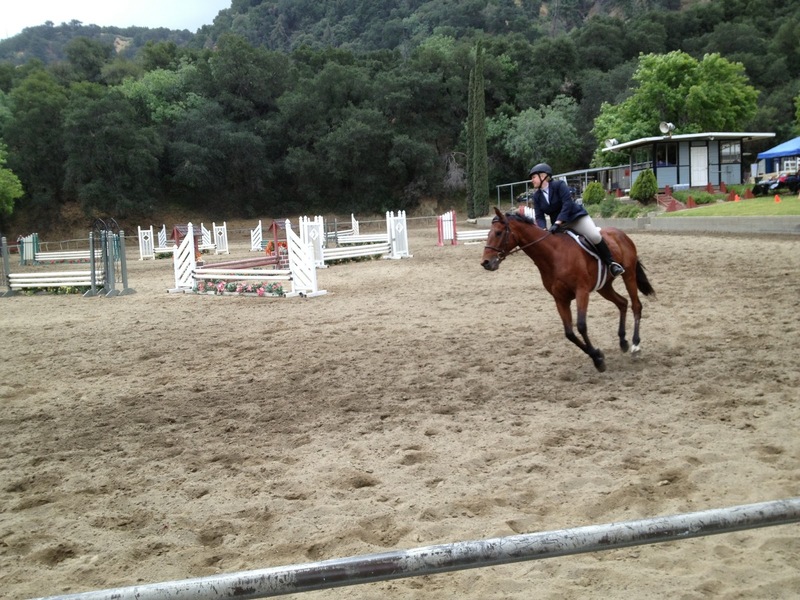 This past weekend we decided – last minute – to go with “the girls” to the hunter/jumper show at Camelot Riding Club in Santa Clarita. Pretty much everyone who commented on our derby report from the previous Sunday echoed the sentiment that the only way to get the quality of work “at home” into the show ring is to show, show, show. Just get out there and do it. Focus on quality but get there through quantity! With that in mind I decided on Saturday to see if Hemie and I could grab that last space in the trailer. And boy, I sure am glad I did! Because we rocked. We zoomed around the arena with plenty of forward energy – not one moment of resistance or getting “stuck” – no refusals or run-outs, just fun and forward! We both had so much fun that I may have to consider us having a side career as hunters! It was an overcast day with some wind and sprinkling rain. But Hemie was calm and obedient. 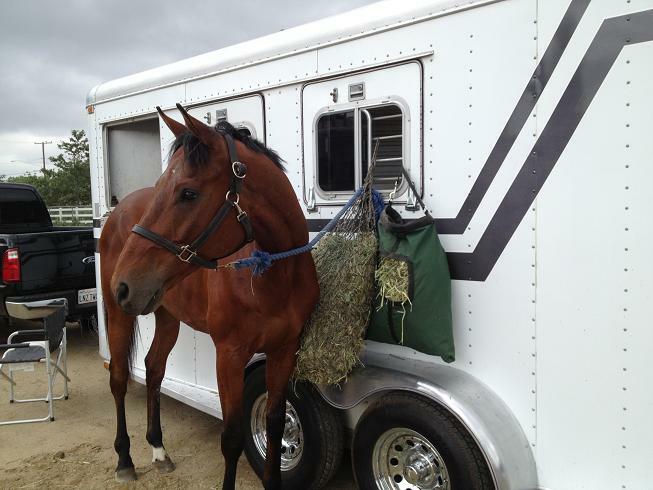 He must have woken up on the right side of the stall – he had a great attitude all day and even started jigging in excitement when he saw the trailer pull in to get us. He was longed twice – once at home, and again at the facility, just to be on the safe side. He was completely nonplussed by being in a brand new facility, even with the blustery weather making the trees and temp stalls groan and rattle. 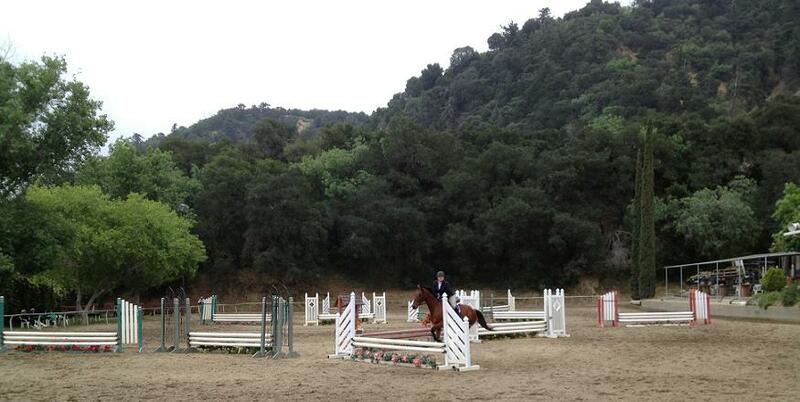 He warmed up like a dream and we were able to really put in good work in 2 different warm up arenas. Like the Elvenstar show we again did the “intermediate” hunter division, with jump height of 2’3″. 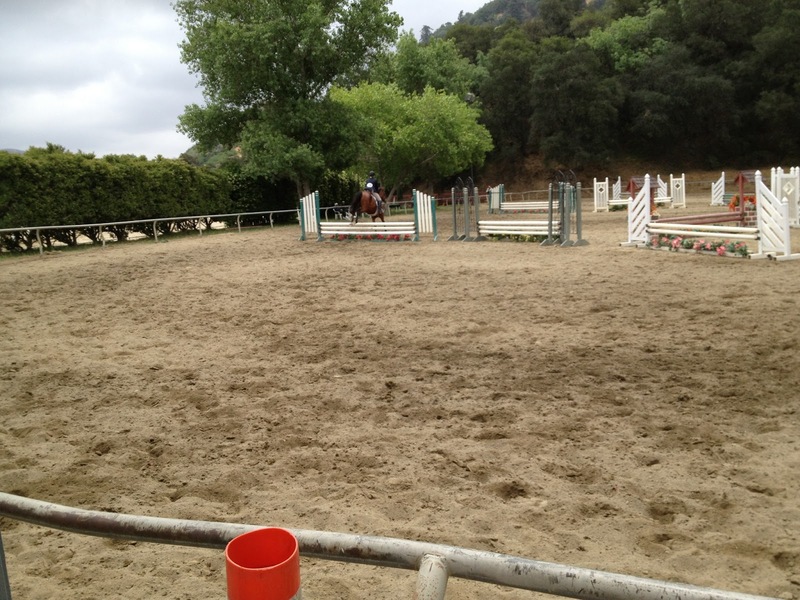 We did a total of 4 rounds: non-judged warm-up, hunters, handy hunters, and equitation over fences. Each had a different course of 8 jumps, and the organizers did a good job of really mixing up the courses – including new jumps each round and changing the directions of approaches. I was the only competitor in my division over the age of 12, but I loved it. The girls were all very welcoming. They had serious looks on their faces but were polite and encouraging. And they were great little riders to boot! 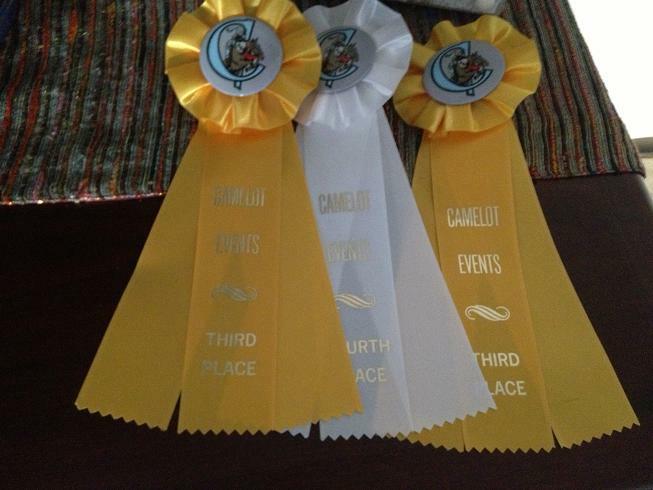 Unsurprisingly, my eventer-in-training and I weren’t super competitive in terms of placings, but we put in respectable performances: 3rd place in hunter, 3rd place in handy hunter, and 4th place in equitation. Out of 4 riders total =P. But the important thing is that we didn’t get eliminated! We cantered all 4 courses and I could feel Hemie’s calm excitement. He locked on to jumps and really pulled me to them. I was proud of us starting with our very first go, but each round we got smoother and smoother. Thank you to everyone who commented for your encouragement. You really did give me that push to go for this show, and I’m very happy we did. A good boy at the trailer. “Hunters” classes are judging the horse’s performance, and tend to have very straightforward courses like: outside line to diagonal line to other outside line. You are supposed to get a prescribed number of strides between jumps in a line. “Handy hunters” classes again judge the horse’s performance, but the course asks the rider and the horse to be handy, meaning tighter turns and less straightforward courses with more single jumps. 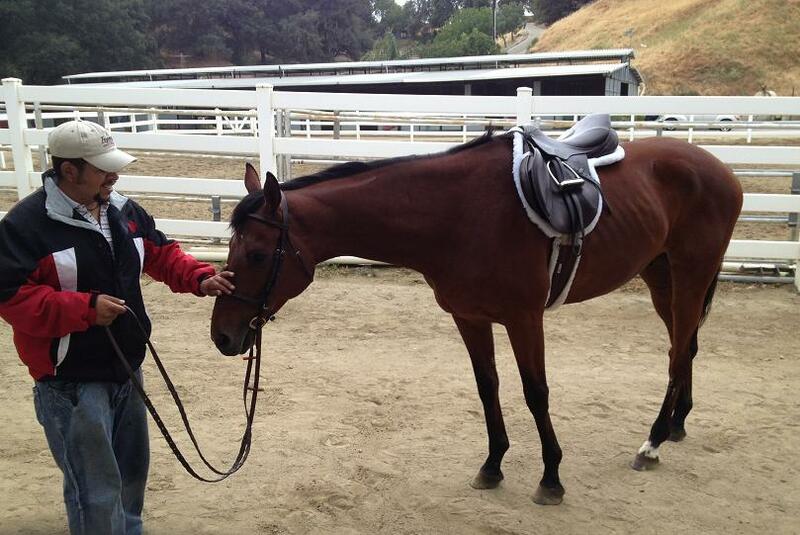 “Equitation” courses are more similar to hunter courses, only the rider is being judged instead of the horse. It appears arched backs and tushies out is a desired body position. I’ll have to keep watching and learning if we ever hope to make a real go in the hunters! YAY, it sounds like you guys had the right combination of forward energy and focus! I think all the exposure really helps settle their brains… you're on the right track. Congrats!